Part No. CBL-CTR103P In Stock Fedex orders placed now will ship on April 19th. 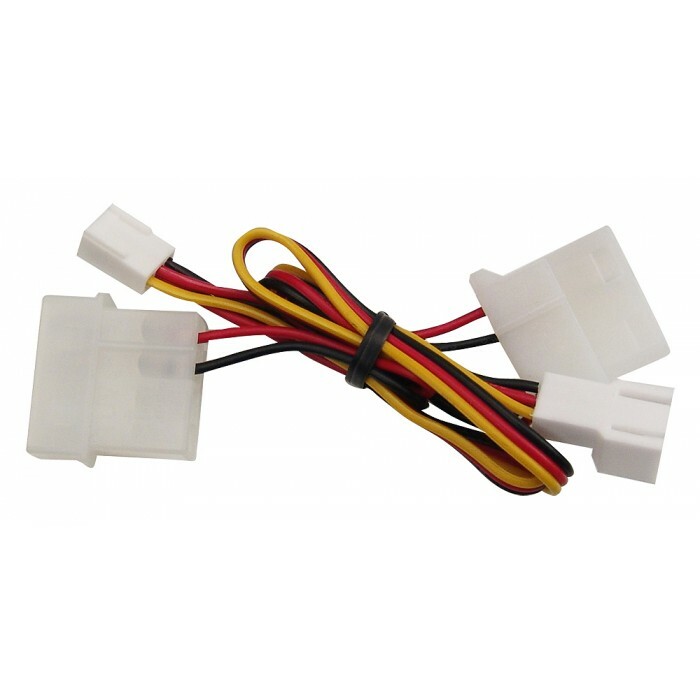 3-pin to 4-pin Molex fan or pump power adapter. Both male and female plugs are provided with 3-pin and 4-pin connections. Can also be used to combine tachometer and power wires of PMP-450/S pumps into a single 3-pin plug. 36cm (14in) in length.